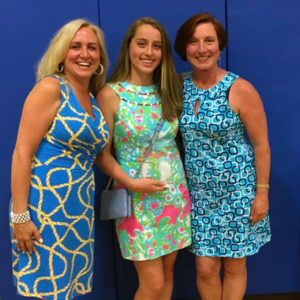 The Jean Frankel Founder’s Award is awarded annually to honor one 8th grade student who shows focus and dedication to enhancing their education both inside and outside the classroom and a commitment to volunteerism. This award was created in 2015 by Jean Frankel, founder of the TEF, and her husband Gregg. The $2,500 scholarship will be given to the recipient upon graduation from high school and is to be used toward post-secondary school education. 2018 Leigha Schultze. Click here to read the press release published in the Tewksbury Times.